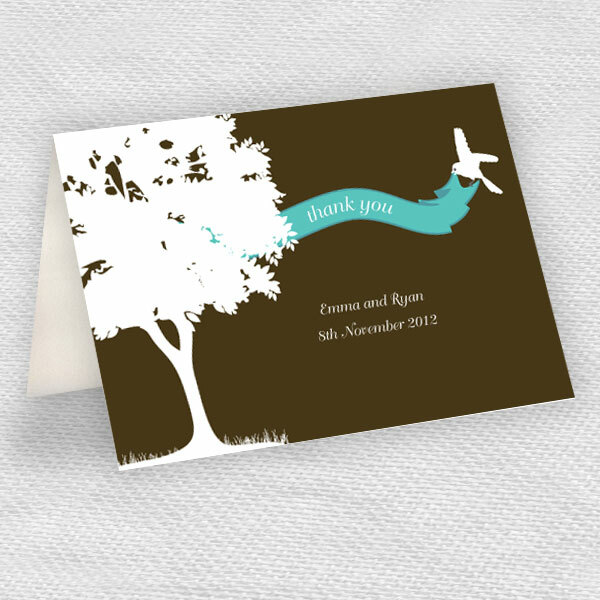 This romantic and rusting wedding invitation is just perfect for outdoor ceremonies or for lovers of nature. 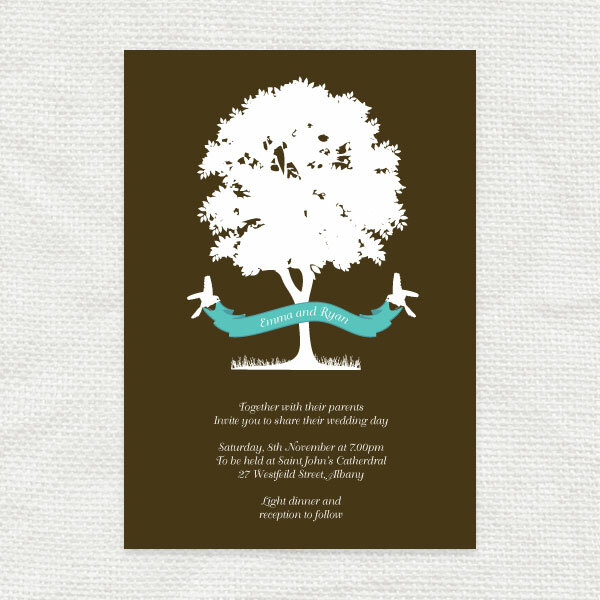 The pretty tree illustration is finished off with two little love birds carrying a banner to hold the couples names or wedding date. Visit the 'i do' it yourself online shop to purchase a print ready PDF computer file delivered via email. Just print, trim and decorate. Don't think your home printers up to the task? 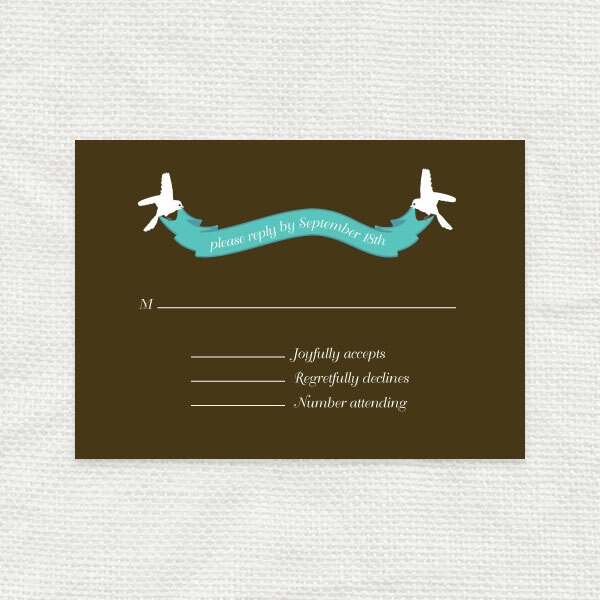 No problem, you can just take the file to a local printer or online print shop. It is shown here in rich chocolate brown, white and turquoise or choose your own colours from the huge selection.